I'm Scott Swift, the creator of eSpanishTeacher's Beginner and Intermediate Spanish courses. I've been speaking Spanish for over 13 years and teaching it for most of that time as well. Spanish did not come easily for me, which is one of the reasons my course is so effective. My passion is helping people speak Spanish quickly and affordably. That means YOU. It's my voice you hear on the CDs when you watch them on your computer. It's my mission to help you speak Spanish and that's why I offer a 100% satisfaction guarantee. I love hearing from folks who have used Beginner Spanish, so please send me your thoughts, testimonials, and questions by going here. My philosophy around learning Spanish is that you shouldn't have to throw good money away by purchasing expensive language software that won't teach you to speak Spanish. Many of these courses contain poorly-designed Spanish vocabulary drills with the hope that you'll be happy memorizing long lists of words. In just a couple years eSpanishTeacher's Spanish language courses have helped thousands of people speak Spanish. I've found that the secret to learning Spanish effectively and quickly is to have a reliable mentor available to explain and help you through the difficult concepts every step of the way. And that is what I want to be for you. 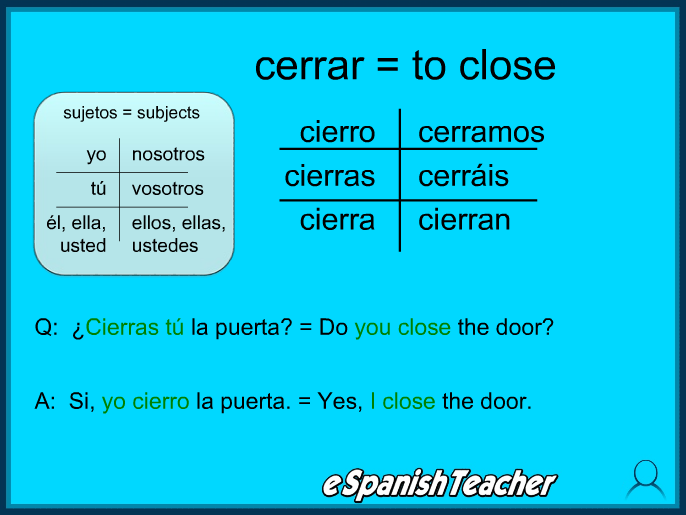 The interactive Spanish lessons are taught by me, and I teach using simple terms to clearly explain the most difficult concepts. So whether you are learning Spanish for business, education, your personal life, or traveling abroad to a Spanish speaking country, you need to learn from an actual teacher with a proven track record who is dedicated to your success.